Add some style to your SRAM-equipped Road bike with these colored hoods! Prompt delivery in factory packaging. Not too much to say about these - easy to install, snug fit, direct replacement of the original SRAM lever hoods. Installed black ones on my SRAM Rival 10sp shifters with little to no issues. They look and feel fine. I was glad to purchase a new pair of lever hoods. Old ones were white that came with the bike and were as dirty as they could get. Overall, they work perfect. Needed to replace the OEM brake/shifter hood and this one was identical to the original. Received very quickly. Direct replacement for Rival carbon road brifters. The material is good and restores new look and feel. Can take a little convincing to stretch on. After installation the material will relax after stretching and fit perfectly. Easy to replace a torn hood cover without any disassembly of the shifter itself. I replaced my old original hoods with these. They are more supple with a nice texture and a finer upgrade. What is the SRAM part number on these? Wondering if these fit the SRAM Red 2012 brifters (should be part # 11.7915.000.000). BEST ANSWER: I recently upgraded my SRAM Red shifters to those compatible with the front derailleur with Yaw technology (no trim). The hoods compatible with these are 00.7918.010.000. Previously, I used 00.7915.042.000, which do not fit my new Reds, but still fit my older Force shifters on my cross bike. 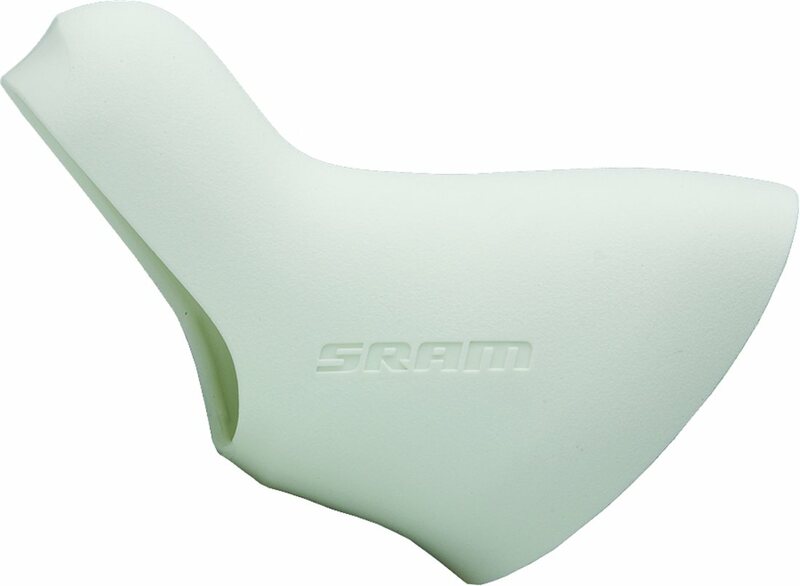 will this fit sram rival Gen 2 shifters Carbon? BEST ANSWER: Sorry, don't know, I replaced my sram force hoods with these. They are just as nice as the originals were. This question is too vague to answer definitely. What shifter series (Force, Rival, Red...)? What year? will this fit the sram etap shifters? BEST ANSWER: No. They are a completely different shape. I tried trimming, stretching, bending, pleading, nothing worked. Will these fit the RX 100 models? BEST ANSWER: no they will not the RX100 is shimano the ones in question are Sram. Will these fit SRAM s500 brake levers without shifters?